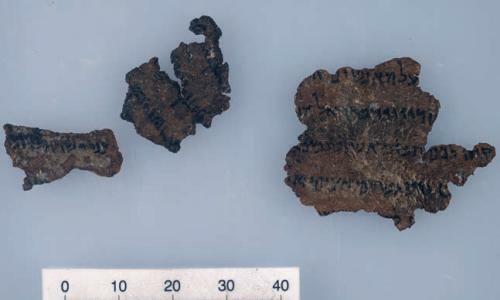 A multimillion-dollar trade in fragments of the Dead Sea Scrolls fuelled by a surge in interest from wealthy evangelicals in the US includes a significant number of suspected forgeries, two prominent experts have said. On scholar said the problem was so serious that up to 90% of the 75 fragments sold since 2002 could be fakes. Six of 13 fragments bought by Steve Green, owner of the US arts and crafts retail chain Hobby Lobby, are among the potential fakes, another expert said. The figures involved in these private sales are jaw-dropping: individual fragments can sell for well over $1m. The discovery of the scrolls in the middle of the last century electrified the study of the early bible. Written largely in Hebrew, and dating largely from the last three centuries BC to the first century AD, the scrolls include sections of the Hebrew bible 1,000 years older than any previously known copy.